…Or if you just want chips because you’re watching Grey’s Anatomy. 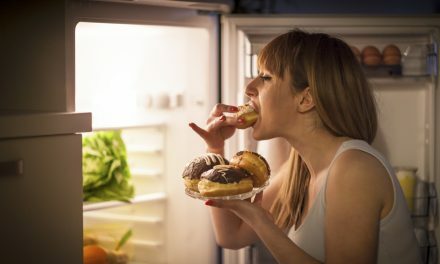 Eating when you’re hungry and stopping when you’re full may sound like common sense, but whether it’s that bag of popcorn you must open before watching a movie or the cookies you stress eat at your desk, we’ve all looked food as more than just fuel. While this is perfectly normal, you might want to break the emotional ties if you’re watching your waistline. Obviously, this is easier said than done, especially if you’re habitually eating for other reasons. If you’re ever unsure about going back for seconds or reaching for that post-meal snack, ask yourself these questions first. Have you eaten in the past few hours? Eat breakfast and feeling ravenous less than an hour later is an unfortunately common experience. You might feel like you’re possessed by a tapeworm, but it has a lot to do with the kind of food you’re eating. 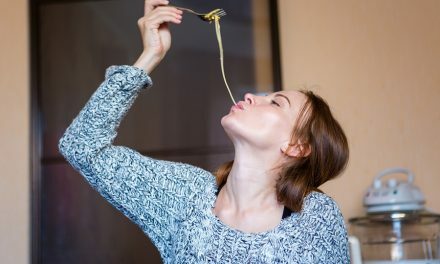 You should be able to go two to three hours between eating occasions, says registered dietician Samantha Cassetty. But if you are truly hungry shortly after eating (we’re talking thirty minutes to an hour later), it’s possible that you aren’t fueling up on foods that sustain you. Meals that have protein and fiber take the longest to digest, leaving you fuller longer, so consider that combo at your next meal, she says. A salad with grilled chicken, a Greek yogurt with fresh berries, or a piece of salmon with grilled veggies are all good options. While we generally think of eating based on emotion as a bad thing, feeling crabby (a.k.a. hangry) is a good indication you need food, says Cassetty. Crankiness, stomach rumbles, and/or a headache are all signs pointing to chow time, she says. Does a glass of water take the edge off? We’ve said it once, and we’ll say it a million times more: People always mistake thirst for hunger. Telling the difference can be tricky even for the most mindful of eaters. So, if you’re not sure whether you’re actually in need of a snack, have a glass of water and then wait 10 minutes, says Cassetty. If your hunger is curbed, then you’ve got your answer. Are you queuing up Netflix? Once we associate two things, like watching TV and snacking, it’s a tough habit to break. So, when you’re getting ready to binge-watch your favorite series, you might reach for the chips without a second thought. Get out of auto-pilot eating mode and tune into your body by avoiding the snacks during TV time, says Cassetty. Though it may take a couple of weeks, being mindful of the association will help you break the habit. In the meantime, have some gum or an herbal iced tea. If you’ve ripped open that bag of cheese puffs when up against a deadline or upset over an argument with a friend, then you know the feeling. Whether it’s the taste or just crunching on something, you feel instant (though temporary) tension relief. But food will never ease your sadness, mitigate your anxiety, or provide any type of emotional support, says Cassetty. 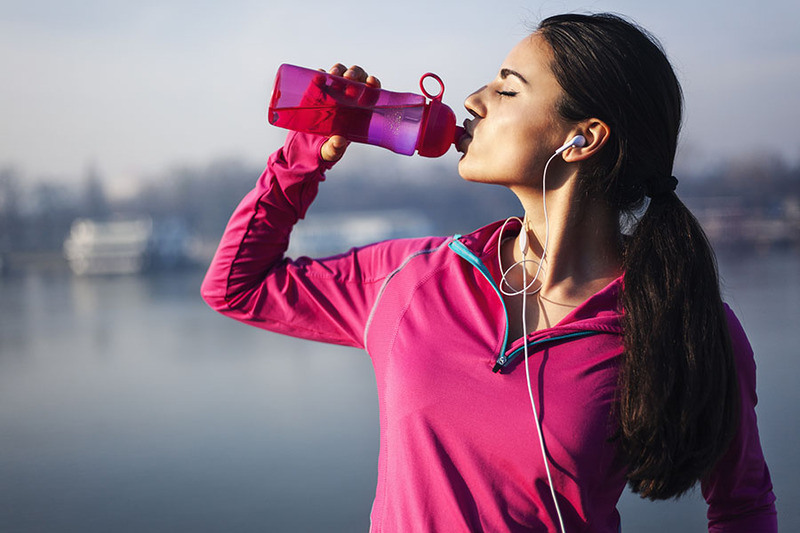 A quick walk, a five-minute meditation, or an upbeat playlist are all healthier ways to help you manage your mood. Whenever in doubt, take a few seconds before digging in to ask yourself why you want to eat in that moment. The more you take that moment to pause, the more habitually you’ll start eating mindfully.